Instructor Anila Kumari, renowned classical Indian Kuchipudi dancer and practitioner of yoga, leads students through Vinyasa style asanas along with controlled breathing exercises. 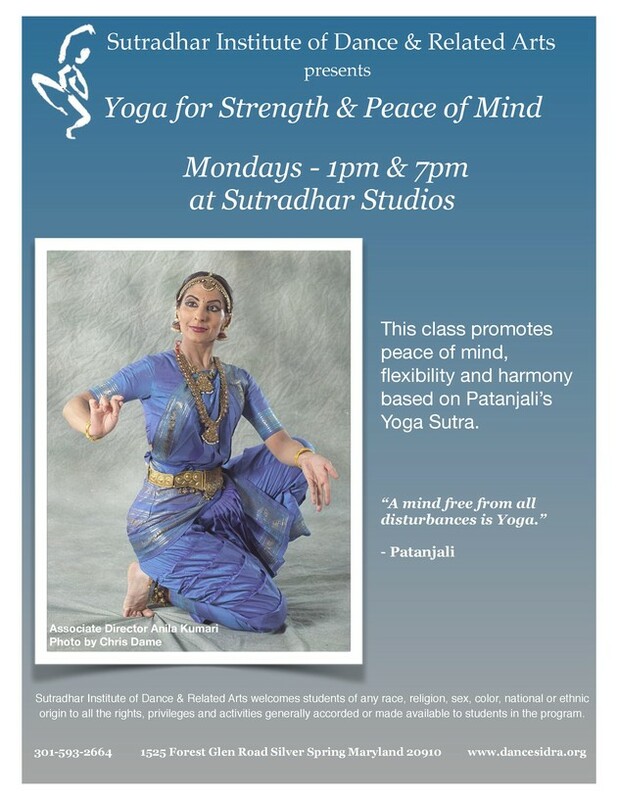 This class promotes peace of mind as well as flexibility, health and physical harmony based on ancient yogic teachings of Pantanjali's Yoga Sutra. Classes are open to all interested.